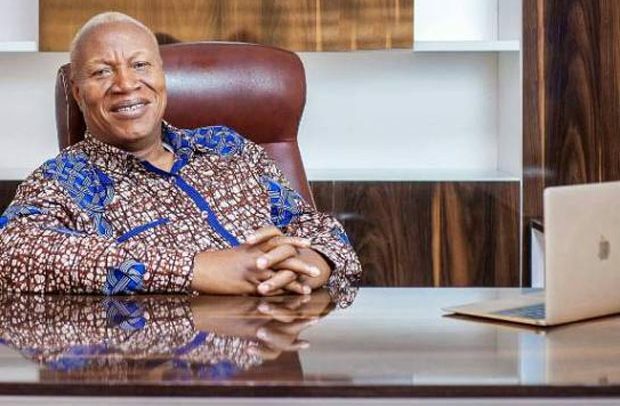 The campaign team of NDC flagbearer aspirant, Professor Joshua Alabi has expressed concern about a deliberate move to promote former President John Mahama over other aspirants. Accordingly, the campaign team has urged the party’s leadership to ensure that the playing of individual aspirants’ songs at the party’s programmes was not encouraged. According to the team, the playing of individual aspirants’ songs instead of the party’s songs at its programmes give undue advantage to some of the aspirants at the expense of others. Addressing a press conference in Accra Thursday morning, Prof Alabi’s campaign team led by Victor Adawudu said not all the aspirants have songs and even if all of them have (songs), it will be difficult to play them one-by-by at the party’s programmes, hence the need to limit the songs to those of the party’s. He said Joshua Alabi is the man to lead the party to victory in 2020, noting that the team have been meeting with the grassroots in the various regions to sell their message to them. He said Professor Alabi’s campaign team has received “massive and humbling” support from across the country. Mr Adawudu also called for unity within the party to ensure the party’s victory in the 2020 general elections. “We expect that the elected leadership will not allow the process to be hijacked by some persons for their parochial interest,” he stated. According to him, the actions and inactions of the elected leaders will either foster unity and social cohesion or otherwise, adding that actions such as attacks and insults of aspirants and elders of the party will derail the efforts of the party in securing victory in the 2020 elections. Professor Alabi will be contesting against former President John Dramani Mahama; Dr Ekwow Spio-Garbrah, a former Minister of Trade and Industries; a former Chief Executive Officer (CEO) of the National Health Insurance Scheme (NHIS), Mr Sylvester Mensah; a former Vice Chancellor of the University of Professional Studies, Accra (UPSA), Professor Joshua Alabi; the Second Deputy Speaker of Parliament, Mr Alban Bagbin; a banker and oil and gas consultant, Mr Nurideen Iddrisu; the Member of Parliament for Cape Coast South, Mr George Kweku Ricketts-Hagan; a member of NDC’s communications team, Mr Stephen Atubiga; a lawyer, Mr Elikplim Agbemava; Mr David Dotse Kwame Kuwadah, and Mr Goosie Tandoh, a former Special Aassistant to former President Rawlings.